Esprit de She announced yesterday that they were no longer continuing the event series. I knew it was a matter of time, since they cancelled many events in 2017. My journey pretty much began with Esprit de She. I was fortunate to be able to participate in almost all the events! 5k, (and 5k) Super Sprint, Sprint (so epic it was a 3 parter! Part 1, Part 2, Part 3) and Duathlon (only because they drained the lake that year!). The 10k and Olympic distance were on my wishlist for 2016 and 2017, both of which never came to pass. 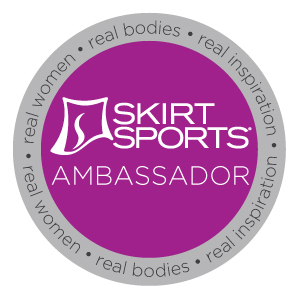 Esprit de She gave me my first brand ambassadorship! I learned so much from Lindsey, Abbie G, and my fellow ambassadors. It’s always a treat to see them from time to time at other events. I still follow so many on IG, FB and their blogs and they continue to inspire me. Esprit de She gave me 2 seconds of fame! Remember this video and jumping into the freezing pool? Esprit de She gave me the confidence to aim for a 70.3. I would have never thought about trying a triathlon if it were not for Esprit de She. I was totally in it for the Moxie Jersey (that’s another sad story, for another day.) and for the challenge. The super sprint event was accessible and it wasn’t scary when you’re surrounded by friends. I mean, don’t get me wrong jumping into the lake was scary, but being surrounded by friendly faces made all the difference! My love for triathlon grew and I was able to finish my epic race last year. I’m thankful for friends made in transition that are true friends of the heart! Esprit de She gave us the courage to train together and forge these friendships in fire. We’ve accomplished so much in these last few years. The ride was short, but the journey was sweet! Thank you, Esprit de She, for all the encouragement along the course, for the miles of smiles, and for giving me a chance to “tri” and find myself! Posted in UncategorizedTagged 5k, ambassador, duathlon, esprit de she, triathlonBookmark the permalink.